Can you teach? Can you have fun? Can you encourage kids? Do you want to make an impact on our community? Vacation Bible School is the number one outreach event that our church hosts and it is only possible because of the volunteers that serve. 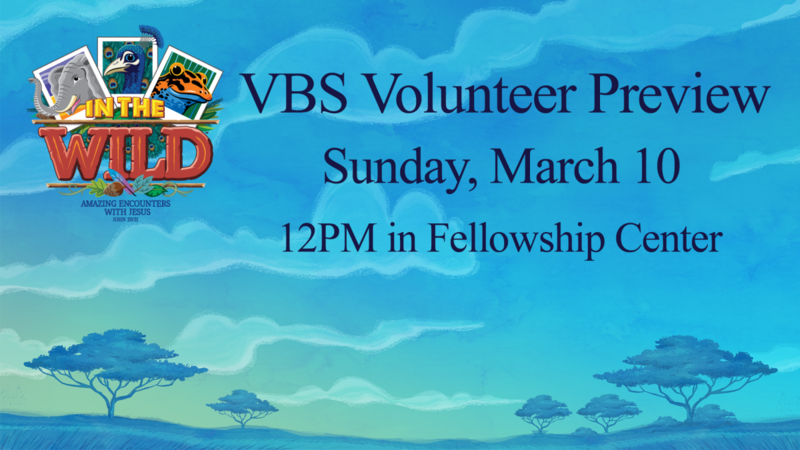 It takes 150 volunteers to make VBS run smoothly, from teaching, co-teaching, security, registration, decorating and more. During the preview, we will talk about the theme, dates, future training, volunteer expectations and answer any questions. Lunch will be served, please RSVP by Thursday, March 7 to . If you are unable to attend the preview but would like to volunteer, please notify Stephanie Shouse.